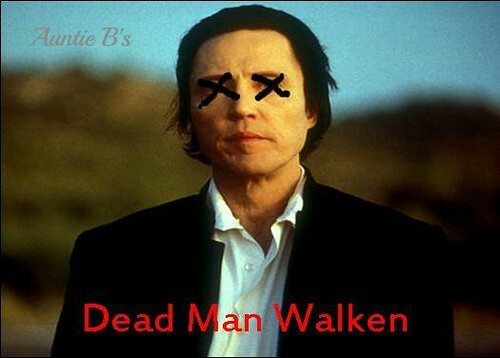 If you don’t know who Christopher Walken is, you haven’t been paying attention. As one of my favorite actors he’s taken parts involving dancing, comedy, and my favorite, the resident psycho. One thing I imagine Christopher to embrace is a sense of humor, which is why I created these magnets. 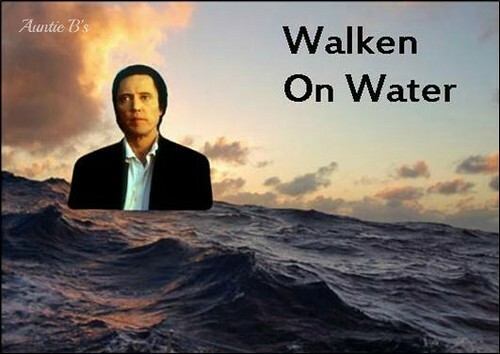 A play on words or a pun (I can never remember the difference of the two), Chris is Walken on all sorts of things with these magnets. I sell them individually in my Etsy shop, and now they’re also available as a set of seven for a discounted price, in the shop and here on this page. 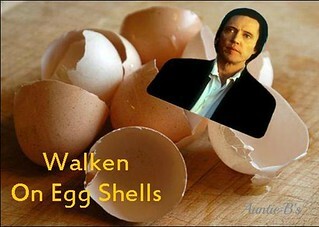 If you’re a Walken fan, or know one, these magnets are just right. 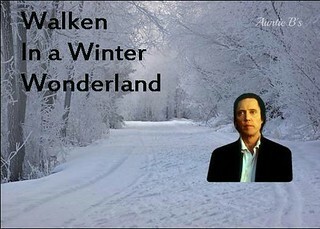 Christopher Walken, you’re my hero and most definitely my inspiration. Christopher Walken has been know to play some of the most psychotic and/or intense characters in movie history, which makes these magnets so great. 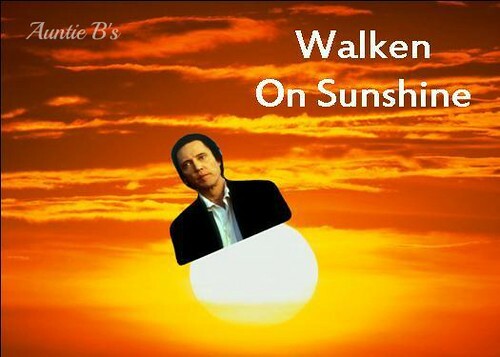 This set is a collection of all the Walken magnets available in this shop (available separately), and by buying all seven you save over $20! 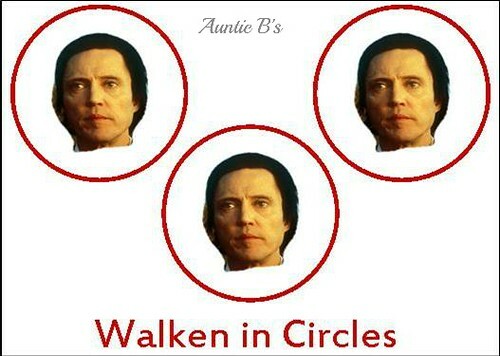 Great gift for the Christopher Walken fan or anyone who loves a good pun. Laminated images will ensure easy cleaning (damp cloth). Thickest magnet available, approximately 1/16” (.67 mm), making the cling of the image as strong as the message it sends. 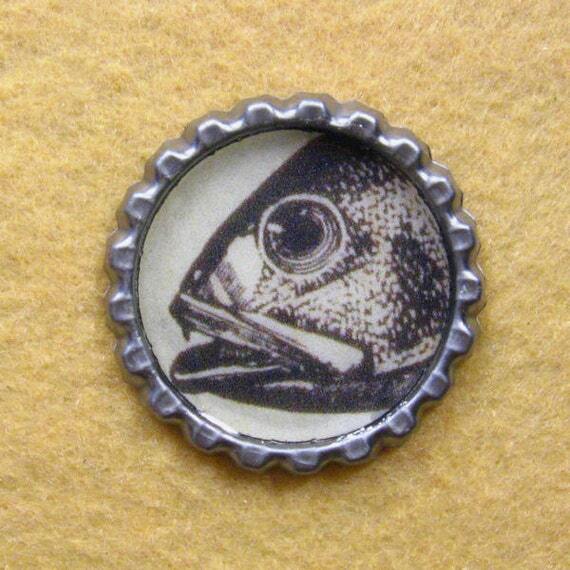 All magnets are hand-cut. “AUNITIE B’S” WATERMARK WILL NOT APPEAR ON THE MAGNET. Dimensions of each magnet: 3½” (8.89 cm) Wide X 2½” (6.35 cm) Long All orders will be shipped within 4 business days after payment is complete. If I’m unable to ship in a timely manner I’ll contact you. Price includes shipping within the US only. If you’re outside the US and would like to purchase, please contact me at auntiebswax4u@yahoo.com and I’ll provide an adjusted price. When I began my little business, Auntie B’s Wax, I knew it would largely be about nostalgia. Candle fragrances that trigger childhood memories, little bottle cap magnets with charming vintage images, and drink charms featuring movies and TV shows of yesteryear. But my business could not be truly actualized unless there was a little room for diversion ~ a little something here and there that didn’t really fit into the vintage/nostalgia theme. 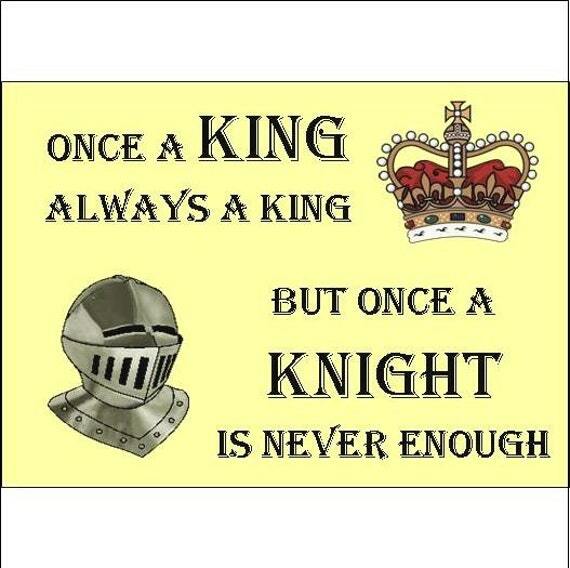 Once A King Magnet for sale at Auntie B’s Wax ~ only $5! Click the pic to buy one now! It’s just not fair. There she is with her size four body, all firm and perky. Her hair is just so and every day she smells of a different perfume. Her nails are perfectly manicured and I’m pretty sure that wax job on her legs goes all the way to Brazil, if you know what I mean. While the vice presidents stand in line to take her out to lunch for shrimp cocktails and filet mignon I’m sitting at my desk eating Lucky Charms out of a Ziploc bag. So I’m not the high-maintenance type, and that’s okay. If she wants to spend all that money on herself that’s just fine and good. She looks great, actually. The thing is, she’s mean. She’s mostly mean to other women. She’s also mean to the men she’s used up. She’s making her way to the top of the company with her experience, the kind of experience which would account for the Brazilian wax. I don’t worry too much; she’ll be promoted out of here before long because she flirted with and kissed the right guy. Before she goes, I think I’ll leave this little present on her desk. As some of you may know Husby and I spent last weekend at the Chateau St. Croix Winery and Vineyard selling my wares at their Fall Festival. The weather was absolutely perfect and people came to the festival by the thousands. One of the most fun things to do when at an event like that is people watching. 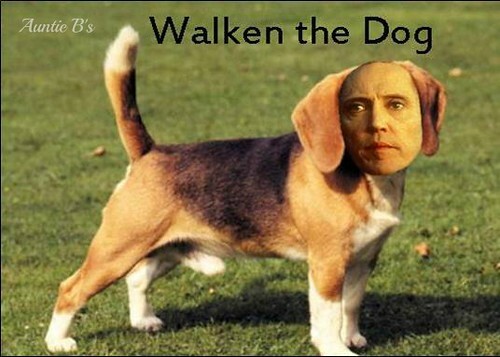 I saw them from a distance, walking down the grassy aisle toward the music tent. They were two ladies, same small stature. They were in their eighties if they were a day and were spiffed up for their outing at the winery. They both wore slacks (yes, when you’re in your eighties they’re called “slacks”) and identical sequined blouses. They also sported identical, jet black beehive hairdos, puffed up to make their heads look much too large for their tiny bodies. If they weren’t twins they were sisters very close in age. I speculate they never married and still live in the house they in which they grew up. You can find this magnet in my Etsy shop in the Word To Live By Magnets section, or check out the sheet magnet tab at the top of this page. You’ll find the Sisters magnet there, along with tons of others. 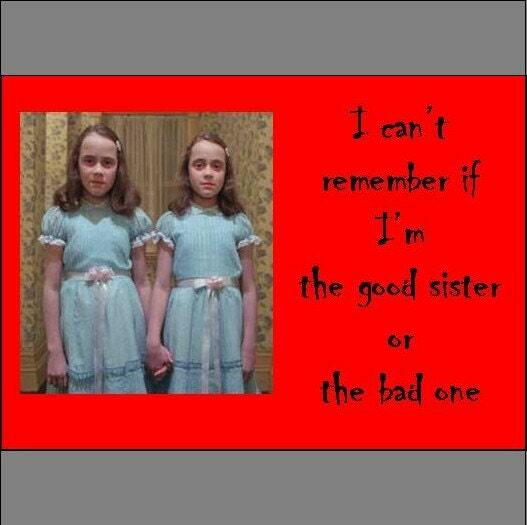 I wonder which of those two old sisters was the bad one.